Reading this blog and using the embedded SWMM 5 example file, you will run a simple SI unit model based on factors of 1 and 10. The LID (Bio-Retention Cell) is designed to have zero outflows, Figure 1, as the storage is set to 1000 mm. The Subcatchment area is 1 hectare, the prevent impervious is ½ hectare divided into ¼ hectare sections with and without depression storage, the pervious area is ½ hectare (Figure 2). The LID Bio-Retention area is ¼ hectare or 25 percent of the Subcatchment. The SWMM5 engine divides the Subcatchment into nonLID and LID sections (Figure 3) and the impervious area and pervious areas are automatically reduced by the SWMM5 engine (Figure 6). The internal pervious area is 0.375 hectares, the nonLID area is 0.75 hectares and the two impervious area are 0.1875 hectares each. The example uses 100 mm of rainfall or precipitation to make the comparisons easier. 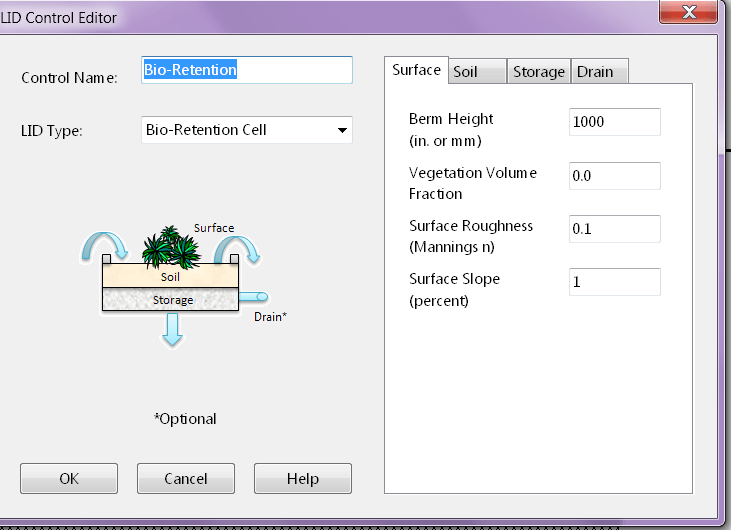 Figure 1 SWMM 5 Bio-Retention Cell Example with settings based on 10 so that no flow leaves the LID. The Berm and Storage Height are set to 1000 mm. 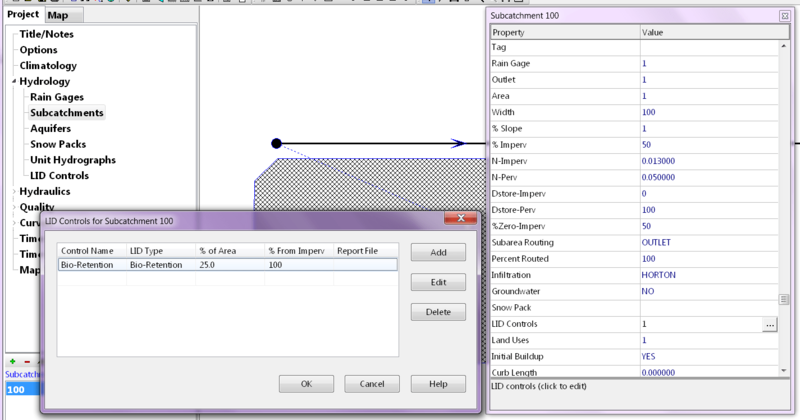 Figure 4 Subcatchment Summary in SWMM5 – there is no Runoff and all of the Pervious Flow Infiltrates. The pervious infiltration is 37.5 mm which is the percentage of the 1 Hectare Subcatchment covered by the pervious area. Figure 5 LID Summary – no flow out of the LID, only storage. The LID area has initial and final storage – the final storage is the total inflow + the initial storage. The total inflow is 100 mm of rainfall + 37.5 mm of Impervious Runoff / 0.25 Hectares or 150 mm for a total of 250 mm. Figure 6 Division of 1 Hectare Subcatchment into LID and NonLID Areas. 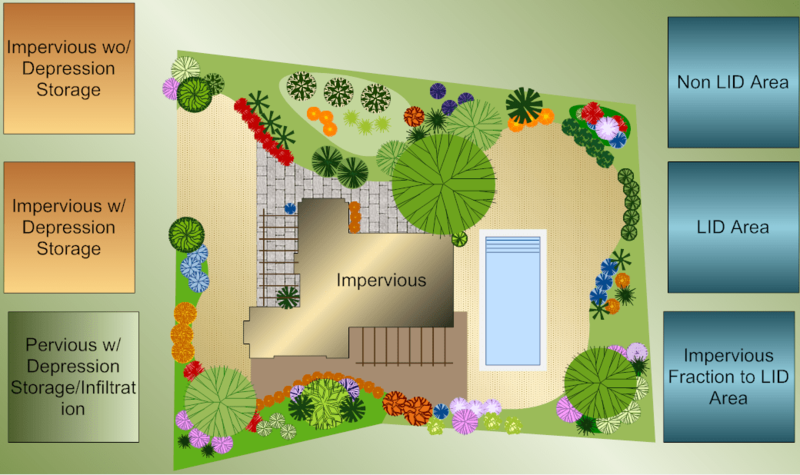 The internal pervious area is 0.375 hectares, the nonLID area is 0.75 hectares and the two impervious area are 0.1875 hectares each.